Working with the legendary Steve Levine, Getintothis’ Amaan Khan listens intently to the neo-coul crooner’s second EP. 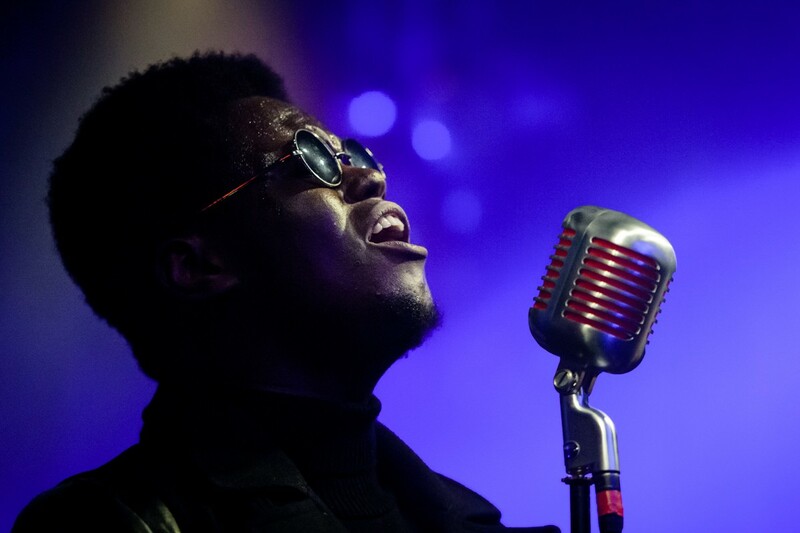 Since being nominated for the GIT Award last year, XamVolo has managed to bag more and more achievements including performances at festivals like LIMF, festEVOL etc. His new EP The Closing Scene is but another milestone in a fast budding career. As the world jived to the tunes of the likes of The Weeknd and Kendrick Lamar, it seemed only logical that Liverpool’s own neo-soul crooner makes his move. That move is the release of The Closing Scene, co-produced by the Grammy winning producer, Steve Levine. The album takes Volo’s R&B and soul sound to darker places. With its mid-tempo bouncy grooves, the four track EP carries in its tension a unique charm fit for the currently rising musical trends. Lyrically, the songs speak with the confidence and ‘Here-I-am’ attitude the singer and his career seem to radiate. Though short in length, the album, in its entirety, takes us through a profound musical joyride. Rescue Me: Some credit is definitely due to the packaging of this short album. The opening track serves as a great introduction to what is to come. The slow and almost jazzy basslines and groove that get garnished with modern electronic sounds are perfect definitions to both the EP and its artist. The neo-soul character of Xam shines in this along with the aforementioned confidence. The track not only contains an atmosphere of its own but also the capability to create one. Though the groove is too laidback to dance to but the smooth vibes can add the perfect ambience to a party that is just beginning. Be Cool: If the first track created the ambience and started the party, the second track gets the jiving going. It starts with some Thom Yorke-ish piano playing contradicted by simple and almost comic cascading sound effects. However, it takes a completely different turn as the catchy vocal melodies and the groovy basslines take over. Whether it’s the experienced genius of Steve Levine or the fresh mind of XamVolo, they have definitely managed to get this track ticking and tocking. Notably of interest, the song continues to develop as Xam lets the instruments have the limelight near the end when the drums and horns finish this one with almost jazz sensibilities. Bone Marrow: If there is a low point in the album, arguably, this is it. The formula of combining the organic jazz lines with modern craziness which is well executed by the previous tracks almost becomes redundant in this one. Though the heavy drums and the increased tension in the production may be fancied by some listeners, there seem to be too much going on for too less a purpose. Breathe Slowly: Though the record never fell too low, it manages the pick itself up and rise higher with this last track. The perfect closing statement to a short journey, we have, for a change, a riff-based track. Acquiring an almost rock and roll angst, the music and the musicians keeps it simple and effective. Belting out between a repeated guitar and horns riff, Xam drives home the statement the album attempts to make: regardless of the uncertainty and insecurities the artist and the new face of soul music that he is associated with, is here to stay.